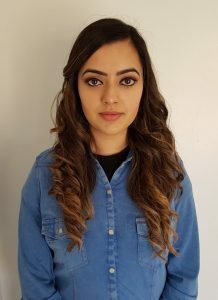 Hi I’m Sonam Kaur, a business analyst from the Model Office based in the Digital Delivery Centre, Shipley. With the Tax Credit renewals deadline coming up at the end of July I’m here to tell you about how customers can now use Alexa as an alternative way to contact HMRC and a trial we're running to use SMS reassurance. The Model Office is probably about as far removed from the traditional idea of a ‘tax office’ as you can get. We’re more Ben Whishaw’s Q from James Bond than grey suits and filing cabinets. Set up 18 months ago, our role is to find out about new technologies and come up with innovative ways to use them in our customer journeys. As customer expectations change, we make sure HMRC can offer a full range of different ways to interact with us, providing our customers with the most up to date tools to use in ways to suit them. Use of voice based services, like Alexa, is rapidly increasing in the UK. Currently over 9% of UK households own a voice based technology device and the expectation is this will increase to 40% by the end of this year. So back in December, we started exploring ways we could use Alexa to engage our tax credit customers and ultimately reduce the need for customers to call our contact centres. In 2017, more than 200,000 customers contacted us on our helpline between 24th and 31st July 2017 with basic queries. We started off by finding out what the top three reasons were for calling HMRC last year to understand what our main customer queries were. We then grouped and built these queries into an Alexa skill to act as a signposting mechanism pointing customers in the right direction. After numerous iterations and business improvement trials, our tax credit skill was released on the Alexa skills store on June 20 2018. To use the skill customers just say “Alexa, open HMRC”. Alexa welcomes the customer and asks if the query is about either reporting a change of circumstance, querying payment information, or renewals. Once customers respond to the question, Alexa will direct them down the most suitable route. She will also ask if they want to receive an SMS text message with a link to the relevant GOV.UK guidance. Once the tax credit renewals peak is over we’ll be measuring how effective she was in supporting our customers through the tax credits peak. This year we’re also trialling tax credit renewals SMS reassurance. This is basically a series of SMS messages sent to customers who have renewed their tax credits, reassuring them their application is being progressed and encouraging them to use the digital services like the Personal Tax Account to check progress and payments, rather than picking up the phone. We’re also trying to smooth the usual tax credits peak by testing whether texts can drive contact and finalise renewal claims quicker by using ‘call me’ messages. When this year’s renewal period is over, 10,000 customers will be invited to complete a survey based on their experience. Analysis will help us to better understand customer behaviour so we’ll be able to continue to design the SMS platform around specific customer needs. The Model Office is an exciting environment to work in and we like to think we’re making things easier for our customers to take control of their own tax affairs and promote a self-service culture going forward. In today’s world, we are moving away from traditional methods of contact and this technology can contribute to cost savings and enhancing the customer experience. Even if you’re not a tax credits customer, try if for yourself, just head over to the Amazon Alexa App and enable the HMRC tax credits skill! There seems to be a fundamental disconnect here. The justification for the piece of work doesn't exist. The market share for voice controlled devices tells you nothing about how many are in use nor for what. The number of re-sales of such devices is a more compelling statistic. However, the key statistic here is that 200,000 enquiries in 7 days figure. What that's telling DWP is not that people need a new way of contacting HMRC but that information from HMRC is so poor people feel compelled to make basic queries in high volumes. That's 200,000 people in a week! No statistics are given for how many of those chose the wrong route, which might be a justification for this work for example. Without such baseline data this is a solution in search of a problem. Sometimes customers pick up the phone simply because that’s how they have contacted HMRC in the past when they’ve needed to. We are keen to encourage as many as possible to use our digital channels and benefit from their convenience and simplicity. 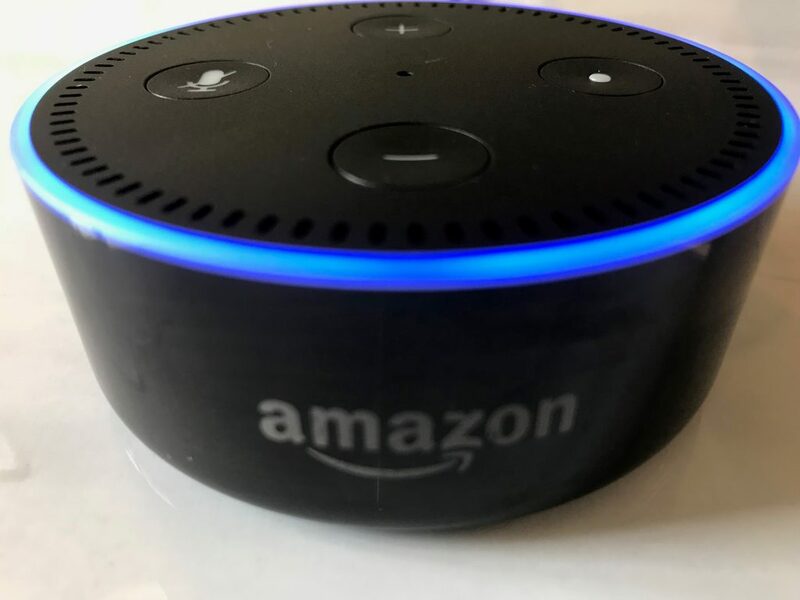 This already includes our award-winning online services and mobile app and, with the popularity of voice-based services on the rise, using Alexa is now another option for tax credit customers to get what they need without having to pick up the phone. Like any forward-looking organisation, customers expect us to adopt new technology as it comes along and not wait for everyone else to do so first. Nice Post thanks for sharing interesting information. This is definitely an exciting and innovative way of helping our customers and really showing how digital enabled we really are. I remember volunteering to test Alexa out. I enjoyed using the device and found it helpful. Great work by the Model Office. Exciting times indeed! Great to hear that government is experimental with innovative new technologies. Are there certain problems that you are aiming to solve or are you just trying different things out to see what works and what doesn't? Here in The Model Office we run innovative trials to assist our customers in this digital age in a pre-production test environment, where real life application usage is simulated as close to production as possible. If our trials prove successful, we recommended to progress to industrialisation. If not, the knowledge we gain from the trials is still valuable to ensure unneeded costs to the business are not incurred. We want to help people to get their tax credits renewals right so we’re trying to make it as easy as possible for them to get help on all devices that we know people use.